Hacking for Diplomacy is a new course from the Management Science and Engineering department in Stanford’s Engineering school and Stanford’s International Policy Studies program that will be first offered in the Fall of 2016. Join a select cross-disciplinary class that takes real problems from the U.S. State Department and asks students to use Lean Methods to test their understanding of the problem and deliver rapid-fire innovative solutions to pressing diplomacy, development and foreign policy challenges. What do all these problems have in common? The U.S. Department of State is working on all of them. 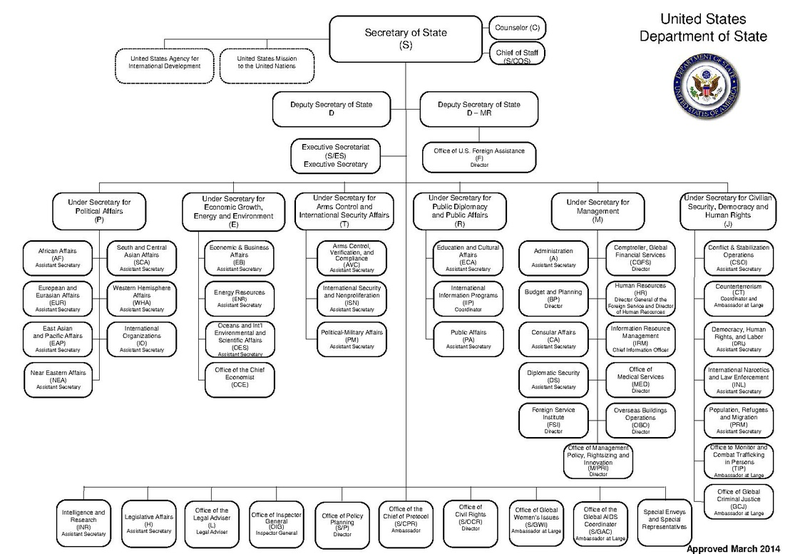 The U.S. Department of State manages America’s relationships with 180 foreign governments, international organizations, and the people of other countries with 270 embassies, consulates, and other posts. The management of all these relationships is called diplomacy. 70,000 State Department employees (46,000 Foreign Service Nationals, 14,000 Foreign Service Employees and 11,000 in the Civil Service) carry out the President’s foreign policy and help build a freer, more prosperous, and secure world. Support U.S. diplomats, government officials, and all other personnel at home and abroad. At a time of significant global uncertainty, diplomats are grappling with a set of transnational and cross-cutting challenges that defy easy solution. These include the continued pursuit of weapons of mass destruction by states and non-state groups, the outbreak of internal conflict across the Middle East and in parts of Africa, the most significant flow of refugees since World War II, and a changing climate that is beginning to affect both developed and developing countries. And that’s just on Monday. The rest of the week is equally busy. In a world of complex threats, dynamic opportunities, and diffuse power, effective diplomacy and development require institutions that adapt, embrace technology, and allow for experimentation to ensure continuous learning. This means developing new and innovative ways to think about, organize and build diplomatic strategies and solutions. Stanford’s new Hacking for Diplomacy class is a part of this effort. Hacking for Diplomacy is designed to provide students the opportunity to learn how to work with the Department of State to address urgent foreign policy challenges. While the traditional tools of statecraft remain relevant, policymakers are looking to harness the power of new technologies to rethink how the U.S. government approaches and responds to the problems outlined above and other long-standing challenges. In this class, student teams will take actual foreign policy challenges and a hands-on approach that will require close engagement with officials in the U.S. State Department and other civilian agencies. They’ll learn how to apply “lean startup” principles, (“mission model canvas,” “customer development,” and “agile engineering”) to discover and validate agency and user needs and to continually build iterative prototypes to test whether they understood the problem and solution. Each week, teams will use the Mission Model Canvas (a variant of the Business Model Canvas used for government agencies and non-profits) to develop a set of initial hypotheses about a solution to the problem and will get out of the building and talk to relevant stakeholders and users. As they learn, they’ll iterate and pivot on these hypotheses through customer discovery and build minimal viable prototypes (MVPs). Each team will be guided by a sponsor from the State Department bureau that proposed the problem and a second mentor from the local community. Today if college students want to give back to their country they think of Teach for America, the Peace Corps, or AmeriCorps. Few consider opportunities to make the world safer with the State Department and other government agencies. Hacking for Diplomacy will promote engagement between students and the Department of State and provide a hands-on opportunity to solve real diplomacy, foreign policy and national security problems. Like its sister class, Hacking for Defense, our goal is to open-source this class to other universities. By creating a national network of colleges and universities, Hacking for Diplomacy can scale to provide hundreds of solutions to critical diplomacy, policy, and national security problems every year. We’re going to create a network of entrepreneurial students who understand the diplomatic, policy, and national security problems facing the country and get them engaged in partnership with islands of innovation in the Department of State. This is a first step to a more agile, responsive and resilient, approach to diplomacy and national security in the 21st century. Really appreciate seeing Lean startup applied to an existing large governmental body.. As the lean startup coach for a non-profit that serves home care workers I am already applying the lean innovation to our insight & innovation team but would love to learn how to spread it to the entire organization. This is ridiculously cool. If you ever want a helping hand for a Boston-area based version of a mission-based effort, please feel free to ping me. I’m a successful entrepreneur turned corporate and would really love to give back by combining my ability to coach people through customer development with my desire to give back to my community/country.